The current Wabash Avenue Bridge ( 50 East 326 North) over the Chicago River is the first bridge at this location. It is 7/10ths of a mile west of the river mouth. In 1985, it was dedicated as the Irv Kupcinet Bridge Mr. Kupcinet was a long time columnist for the Chicago Sun Times News Paper. 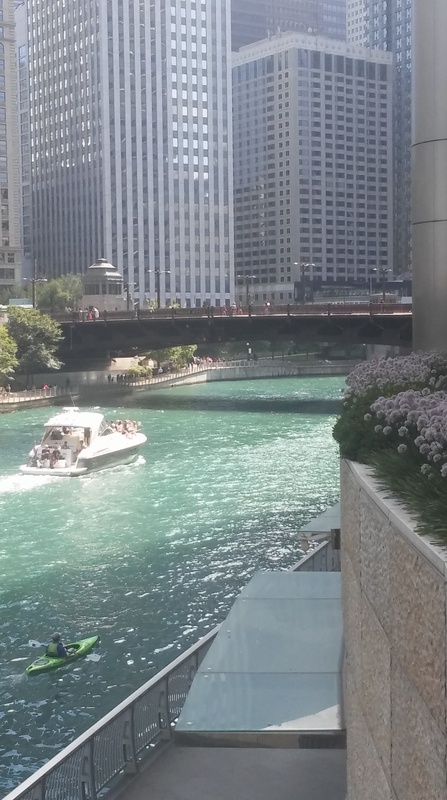 Their offices used to be located on Wabash Avenue near the river. The bridge was built in 1930. It was rehabbed in 2003. It consists of one main span and 3 approach spans. The main span length is 269 feet. The structure length is 345.2 feet. The roadway width is 57 feet. The official bridge description is metal rivet-connected Pratt Railing Height Truss, movable double leaf bascule (fixed trunnion) and approach spans: metal stringer (multibeam), fixed. There are single bridge tender houses on each side of the bridge. They are Beaux Arts Style. Bridge Tender Houses Contractor George Cullen, Inc.